How Can Hot Tubs Help Those Who Suffer From Arthritis? 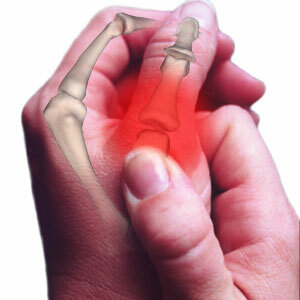 If you or anyone close to you suffers from arthritis, then you will know just how painful it can be. It can severely restrict movement and can sometimes be very difficult to find a treatment that is successful. For many years health professionals have relied on painkillers and anti-inflammatory drugs to treat the symptoms, but they are not always the right choice and can also have a number of unpleasant side effects like any drugs. This is where hot tub therapy differs and we’ve teamed up with industry experts Vita Spa Hot Tubs to take a look at just how it can help. Of course you should never just stop taking prescribed drugs without first consulting your doctor; however they will be able to talk through your options with you and will be able to advise on the matter. You may find they advise you to do some gentle exercises whilst in the warm water as the warmth and buoyancy all help to make the treatment a success. Whilst many people find it impossible to exercise out of the water, in the water it is possible to do a range of movements without much problem and this of course will help to mobilise the joints. When plagued by any type of painful condition, it’s very easy to suffer from low moods or even depression, and this is another area that a hot tub can help with. Relaxing in the warm water, it’s far easier to forget about your pain and mental state as you allow the benefits to take effect. You’ll also find that the effects can last for many hours, particularly if you use the hot tub before you go to bed, where you will almost certainly get a better nights sleep. Of course any condition that requires regular treatment will benefit more if you have access to your own private hot tub on your premises, where you can use it as often as you need.